If any of the admins here at BPU can lend a hand, I would appreciate it. I tried to log into any of these sites and get the 'your account has been disabled' statement instead. I've written to their support on April 8 and again on April 11 (I have copies of those emails as well as their auto responses)...both responses were received almost immediately stating that somebody in support would be in touch with me within 48 hours. I was asking them to explain to me why my account was disabled. I had received an email from them inviting me to their new site "BingoAllTheWay"...when I went to that site, I scrolled to the bottom and saw they were part of the BBN so I attempted to log in first with my normal username and password for their network rather than register new and get into a 'multiple account' issue with them. That username worked, but only to the page indicating that my account had been disabled. My emails to them are going unanswered. If one of you could find out why for me, I would appreciate it so that perhaps I can then straighten out the possible problem...since I don't know what it could be at that point. You can PM me to get that login info if they need it, unless you already have it since I use the same info at almost all of the sites I register at. Before we can contact them we would require your player information! I’m sure you are not registered with your BPU member name. This is being taken care of, will keep you informed. CS in the world of on line bingo means customer support, or customer service. bread and butter, the ones that keep depositing, the ones that keep them in business. things either a canned answer or completely ignored. response That I had received 36 hrs before and still to date have no answers for this player. Customer Service, if they can not answer a simple inquiry from a player nor a Player Advocate. The problem I had with the site has been resolved. I was able to get to LiveHelp and they straightened out the problem of my account being disabled....without explanation as to why it was in the first place. I also got my account profile updated because it has an old email address listed. That also doesn't explain how I was able to receive the email at my yahoo account inviting me to the new site unless my email address from some other site was sold to them so players should be aware that perhaps something along that line is going on without their knowledge. Ty for the update NMM, and glad that it was all straightened out for you. If it wasn't for the availability of Live Help at their site, I would still be waiting for a response to my email (and you to yours). That's pretty crappy customer service when you consider I've waited two months already for a response to something that was resolved by LiveHelp within five minutes. They must have just recently put LiveHelp in place because it wasn't there before or I would have used it immediately. There are still many sites that don't have LiveHelp and no way to get to support if you can't log in....and even if you can find an email address for the site, some don't respond at all like this network didn't. 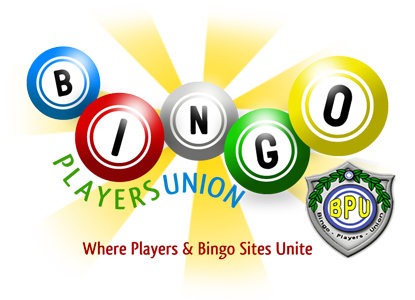 I can't for the life of me understand how a bingo site (any of them) can claim to be so player friendly with great everything at their site and then turn around and totally ignore an email or tt request for help. It would be so much better if they were all required to have LiveHelp in place AND a telephone number (a USA 800 number) so if we needed immediate help, it was available. I talked with Iverson in LiveHelp today because I got an email again at my yahoo account inviting me to play at Bingo101. I asked him to give me an updated list of sites they are networked with so I could have him also check to make sure I don't have any multiple accounts because of mergers. Looks like they've added four or five more sites just in the last couple of months so please, players, make sure you ask often for updates regarding sister sites everywhere you play.